These beliefs and practices were regarded as so radical at the time that many who held them were martyred. The first Baptists came to Australia in 1831. Today there are about 65,000 members in Baptist churches in Australia and many more adherents. Each local church is autonomously self-governing. We voluntarily link together with other churches to form a Baptist Union in each state, which in turn forms the Baptist Union of Australia. We have fraternal links through the Baptist World Alliance with around 36 million others around the world. We are a part of God’s worldwide family of Christians, which numbers 2.3 billion. In 1949 the suburb of Blackburn was mostly bush, apple and pear orchards, interconnected with dirt tracks. Mr C.E. Burden of the Bush Sunday School Union of Victoria visited the area in November 1949 and at his invitation, Mr R.W. Jones established a lively Sunday school in the area. On August 3, 1952, adults met for a worship service in Blackburn South Primary School, which was at the corner of Branksome Grove and Canterbury Road. On September 16, 1952, in the home of Mr Press at 2 Lavelle Street, Blackburn, it was agreed to form a Baptist Fellowship. The children of the Bush Sunday School and the worshipping adults became the foundation of the new fellowship. With encouragement and support from the Victorian Baptist Home Missionary Society and others, a hall was erected at the corner of Canterbury and Holland Roads on two blocks of land, which had been purchased in August 1950 by the Baptist Home Missionary Society for such a purpose. The new hall was opened on April 24, 1954 and at the fellowship’s first business meeting in June 1954, the church was officially constituted. Rev J.H. Newnham, serving part-time, was its first pastor. In 1957 the church called its first full-time pastor, Rev George Ashworth. In 1962 the church was relocated to 19 Holland Road to allow for continued growth. The second full-time pastor was Rev David Griffiths (1962–1972). He was followed by Rev Rowland Croucher (1973–1981). During his time, buildings were extended and a pastoral team was established. The previous senior pastor, Stuart Robinson, was called from missionary work in Bangladesh and joined the pastoral team in January 1983. In 1987 the church planted its first daughter church at Knox, and its second was established in 1990 at Berwick. Also in 1990, the Church purchased new land on the corner of Vision Drive and Springvale Road, Burwood East. Building on the site was completed and the church relocated to its current property in September 1995. In February 1996, in order to reflect the congregation’s regional nature as well as our vision and values, our name was changed from Blackburn Baptist Church to Crossway. 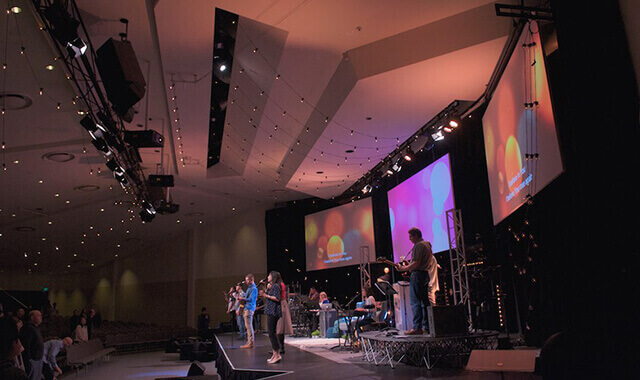 During Pastor Stuart’s leadership, Crossway grew from one location in Burwood East to three other locations in Cranbourne, Moreland and Craigieburn, two of which have since become established as self-sufficient churches in their own right. At Burwood East the congregations grew to include different languages such as Mandarin, Cantonese, Korean and Indonesian. Crossway’s current Senior Pastor is Dale Stephenson, who was called to Crossway in January 2008. Under Pastor Dale’s leadership, Crossway currently holds eleven services each weekend. Additional online services are held at Crossway’s Church Online campus, which was launched in 2015. Crossway opened a South East campus in Berwick in 2016, which has weekly services in both English and Indonesian. In 2012, Crossway LifeCare began operation as an extension of Crossway’s counselling services. LifeCare was developed as Crossway’s response to the growing needs of people in local neighbourhoods around Melbourne’s South Eastern suburbs. LifeCare provides opportunities for volunteers to work alongside professional counsellors and staff to help families and individuals flourish, offering counselling services, community mentoring, financial mentoring, community-building events and more. Crossway has recently completed a significant construction milestone and in 2017 celebrated the opening of the new LifeCare and Administration Centre. Major construction works are currently underway in the main church building to increase capacity and accommodate growing ministry needs.